Yahoo! Set to Join the Browser War with "Axis"
According to LAUNCH, Yahoo! was set to release its own browser, called Axis, tonight at 9PM PT. Apparently someone jumped the gun though, because details, including its live iOS app, have been discovered. Our own Robin Wauters stumbled onto Yahoo’s trademark application for Axis last December, wondering what it was. Its website: http://axis.yahoo.com/, has all of the details along with the download link. From the demo, the browser looks like it takes Google’s autocomplete to a whole new level by bringing up pages on the right hand side as you search for them. ·Smarter, Faster Search with Rich Design: Get instant answers and visual previews so you can continuously discover and explore content without interruption. Never leave the page you are on to view your search results again. ·Connected Experience: Move seamlessly across devices, picking up wherever you left off as you move across your desktop, iPhone, and iPad. Recently visited sites, searches, saved articles, and bookmarks are automatically accessible across all your devices. ·Personal Home Page: Get direct access to your favorite sites and content across all your devices with the customizable Home Page. As we reported earlier this week, Google’s Chrome jumped over Internet Explorer to take the #1 browser position. Many said that it was “too late’ for Google when it introduced Chrome, saying that Firefox was on a clear path to take on Microsoft’s giant. While the desktop version of Axis isn’t an actual browser, the fact that there are iOS versions of it that are standalone products makes it one. The big winner in this release could be Microsoft’s Bing, which provides the search results for Axis. This is the biggest consumer product Yahoo!, which just fired its CEO, has launched in years. Is it too late for Yahoo!, or is the company just getting started? 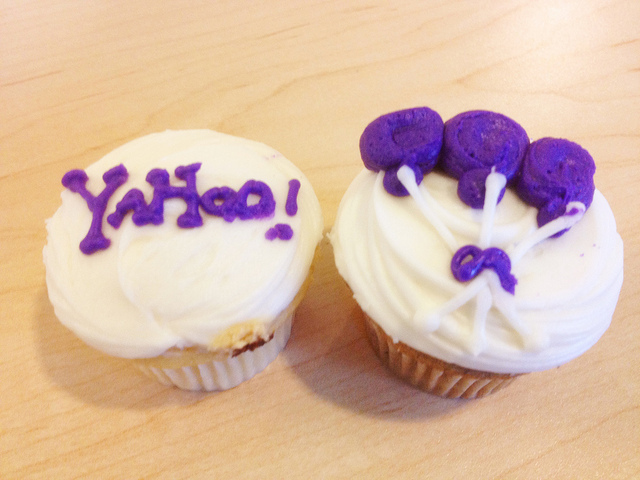 Tell us what you think about Yahoo! Axis in the comments. Read next: Google's Eric Schmidt: "Music may be the food of love but engineers make the instruments"